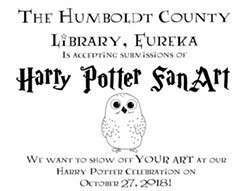 The Eureka Library is looking for Harry Potter fan art to display in the Hagopian Gallery during the Harry Potter Celebration in late October. Artwork submissions may be submitted by all-ages. All artwork must be an original creation, appropriate for all ages, two-dimensional and no larger than 16-by-20 inches. 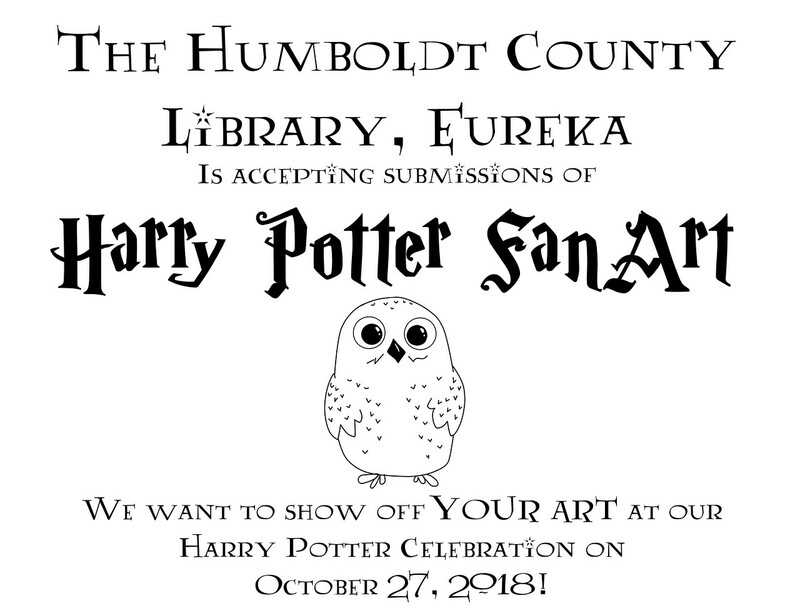 Please submit all artwork and a completed submission form to the Circulation desk at the Eureka library no later than 4 p.m. on Sept. 29. For further information, call 707-269-1910.